Any writer knows that perfect takes practice. So, to be good at their jobs every writer needs to do only one thing - keep on writing. Though, time to time we all wouldn't mind having some help. Luckily, we live in the digital age, where you can find all kind of help online. All it takes is just to know what you are looking for. So we encourage you to find your one of a kind ‘improve writing skills app’ that will make your experience with writing as good as never before. Here is our take on the best 7 writing apps that will help you improve your work. Enjoy! We are starting our guide with probably the most popular grammar checker available online. Doesn't this fact alone speaks volume about the app? For those who never heard of it, Grammarly is a free editing app that helps you to review your writing, detect all types of errors and offer the best alternatives to fix them. Grammarly is one of the best free writing apps out there. Though, there is also a premium version. The latter checks your writing accordingly to your writing format (formal or informal), style and purpose of the given piece. It is just like having a real editor helping to improve your writing. The next app on our list is already for more serious, almost professional, writers. Hemingway is for you if you are thinking about how to improve your writing as a whole and not just your spelling. The app does a great job in emphasizing part of the text that requires some editing. The app follows the rules of Hemingway's style of writing, which is precise, short and clean. Thus, it helps writers to remove all the parts that do not serve any purpose. It also helps you with the sentence structure. This app is perfect for those who often struggle with finding the best words choice. So if you often feel stuck because you can't find the right expression, Onelook Reverse Dictionary is for you. This app will help you in finding the best words options for your ideas. All it takes is just to type your idea and the app will give you a number of suggestions to choose from. It is so easy to use and it saves a lot of time. 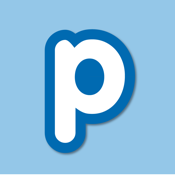 Popplet is an amazing app to help you organize your writing ideas. This app doesn't just help you generating new ideas but teaches you about the different complexities and nuances of writing. So it helps you learn in the process. Though, if you are not a big fan of writing in the first place, here is a reliable custom writings login that will help to make your writing assignments hassle free. WhiteSmoke is one of the best apps to provide you with high-quality grammar help. It helps to detect all of your misspellings and grave mistakes. Moreover, after a short period of using the app, it will come up with a pattern of your mistakes. So it will be easier for you to avoid them in the future. The app is great for those struggling with academic writing. Airstory is there to help you stay focused and organized. It is most certainly helps you to improve your writing skills, especially when it comes to structure and outlines. It helps you to organize your texts, so it is much easier for you to review and edit them. Airstory will make your writing process hella easier. Similar to our previous suggestion, Scrivener is used for the same purposes of organizing all your writing ideas. It helps to plot, generate new ideas, brainstorming and improving the texts you've stored there. It is very convenient to use for longer texts like novels and big articles. It was our top best apps to improve your writing. Hope you have enjoyed it and found something useful for your purposes. Remember, to be a good writer all you really need to do is to just keep practicing. However, it doesn't mean that you have to be alone on that journey. All of these applications can help you a lot. When you want to become a professional in your field, you should take all the help you can find on your way. So let these apps take care of smaller things, while you can continue to concentrate on what really matters - writing. Jeff Blaylock is a professional writer and blogger. The purpose of Jeff's work is to inspire more people to write and be creative. His blog is focused on giving young writers useful tools to encourage them to continue with their good work.